Helen Wheatley holds a BA in American and English Literature from the University of East Anglia and an MA and PhD in Film and Television Studies from the University of Warwick. 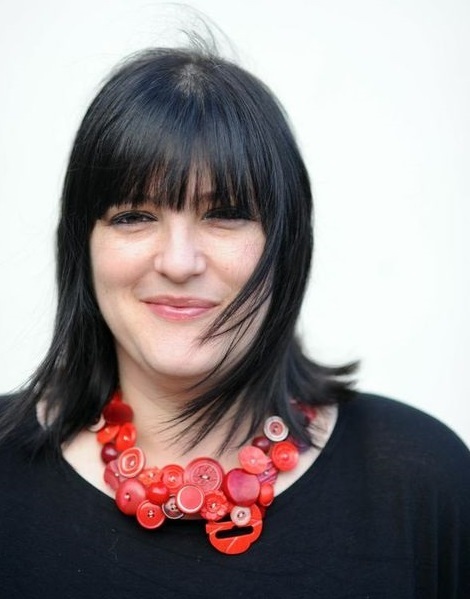 Helen has taught at the University of Warwick since 1998, with a brief sojourn to the University of Reading as Postdoctoral Research Fellow on the AHRB-funded project Cultures of British Television Drama, 1960-82 between 2003 and 2005. Helen was co-investigator on the AHRC-funded project A History of Television for Women in Britain, 1947-89. She also serves on the editorial boards of the following journals: Screen, Critical Studies in Television, Intensities, Revenant. I have research interests in various aspects of British television history, and have published work on popular genres in television drama in the UK, US, including the monograph Gothic Television (2006). 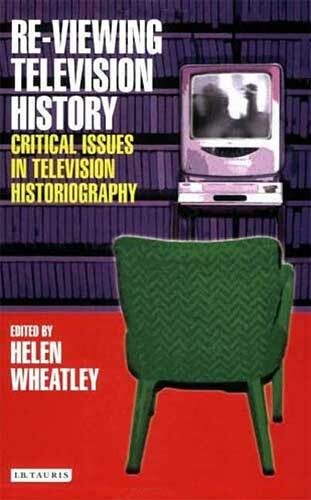 I have an ongoing interest in issues of television history and historiography, the topic of my edited collections Re-viewing Television History: Critical Issues in Television Historiography (IB Tauris, 2007) and Television for Women: New Directions (Routledge, 2016, with Rachel Moseley and Helen Wood). My monograph Spectacular Television: Exploring Televisual Pleasure was published by IB Tauris in 2016; this combines research on the history of particular television technologies as spectacular, with analysis of the ways in which, for example, landscape, bodies (both human and animal), and action are rendered visually pleasurable or spectacular on the small screen. It won he BAFTSS Award for Monograph of the Year in 2017. I was Co-Investigator on the AHRC-funded project ‘A History of Television for Women in Britain, 1947-1989’, running between Warwick and De Montfort University, 2010-2014, with Rachel Moseley (Warwick) and Helen Wood (Leicester University). The project brought together archival and audience research methods in order to map this untold history and explore women viewers’ memories of the television that has been addressed to them. The project was awarded the 2012 Arts Impact Award for public engagement with its Pop-Up TV Pop Shop in Coventry City Centre. I co-initiated and consulted on the large-scale touring exhibition The Story of Cildren's Television, From 1946 to Now which was curated by colleagues at the Herbert Art Gallery and Museum which toured the UK from May 2015 until March 2017, and for which Rachel Moseley and I won the University of Warwick's Community Contribution award. In 2016 I began work on a monograph entitled Television/Death, which looks at television's handling of death, dying and the dead. In relation to this project I have work coming out on the representation of assisted dying on television, the spectre of Jimmy Savile on/in the BBC, and the recent cycle of ghost dramas on UK television. I am PI on the research project Ghost Town: Civic Television and the Haunting of Coventry. This project is based on the idea that cities are haunted places: they are haunted by the ghosts of people, buildings, businesses, ideas, of things which once stood and now no longer remain. These traces of the haunted city might be slowly lost to the passing of time, but the city is also vividly recalled in another haunted place: the television archive. Ghost Town traces how Coventry’s history persists as ghostly traces in the television archive: glimpses of people, places, stories, and snapshots that have been captured and preserved. Through a number of civic screenings (or hauntings) in cinemas and other more unorthodox venues around the city, Ghost Town unleashes the city’s ghosts and brings past, present, and future Coventry into dialogue in the lead up to the City of Culture year in 2021. It is a collaborative project between the University of Warwick's Centre for Television History, Heritage, and Memory Research, the Birmingham-based television archive Kaleidoscope, the Media Archive of Central England, Coventry Cathedral and the Herbert Art Gallery and Museum. 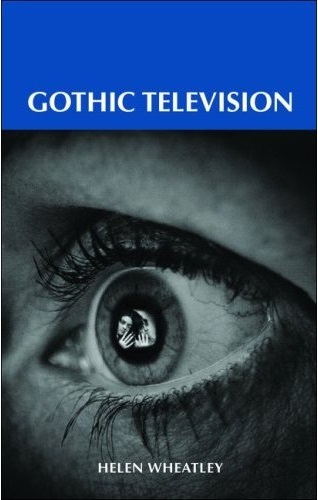 Gothic Television (Manchester University Press, 2006). Re-viewing Television History: Critical Issues in Television Historiography (IB Tauris, 2007). 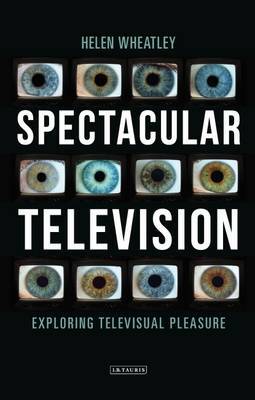 Spectacular Television: Exploring Televisual Pleasure (IB Tauris, 2016). Television for Women: New Directions (Routledge, 2016, with Rachel Moseley and Helen Wood). ‘Television in the Ideal Home’ in R. Moseley, H. Wheatley and H.
Wood (eds) Television for Women: New Directions (Routledge, 2016). ‘“Marvellous, awesome, true-to-life, epoch-making, a new dimension”: Reconsidering the early history of colour television in Britain’, in Laura Mee and Johnny Walker (eds) Cinema, Television and History (Cambridge: Cambridge Scholars Press, 2014). ‘At home on safari: colonial spectacle, domestic space and 1950s television’, Journal of British Cinema and Television. Volume 10, pp. 257-275 (2013). ‘Uncanny children, haunted houses, hidden rooms: Children’s Gothic television in the 1970s and 80s’, Visual Culture in Britain, 13: 3, pp. 383-397 (2012). 'Beautiful images in spectacular clarity: spectacular television, landscape programming and the question of (tele)visual pleasure' Screen, 52:2 (2011). ‘Is Archiving a Feminist issue? Historical Research and the Past, Present and Future of Television Studies’ [with Rachel Moseley], Cinema Journal, 47:3 (2008). ‘Rooms within rooms: ITV and the studio heritage drama of the 1970s’ in C. Johnson and R. Turnock (eds), ITV Cultures: Independent Television Over Fifty Year, pp. 143-158 (Maidenhead: Open University Press, 2005). ‘The limits of television? Natural history programming and the transformation of public service broadcasting’, European Journal of Cultural Studies, 7:3, pp. 325-339 (2004). I teach across many areas of television history and criticism, and in relation to a number of popular genres (e.g. horror film and television, the road movie). In 2017-18 I am teaching on the second year module Television History and Criticism, and the third year module Horror and the Gothic. I am especially interested in supervising PhD projects on television history and historiography, television drama, the UK and US television industries and programming more broadly. I have recently supervised doctoral work on authorship and style in American television drama, the male makeover, the children's horror film, and the fanvid. I am Acting Chair of the arts charity EGO Performance.